When you think of an environmentally friendly vehicle, you probably picture something small, hybrid-powered, and designed for aerodynamics, not visual appeal. Green Car Journal’s 2017 Green Luxury Car of the Year is certainly aerodynamic and a hybrid, but its similarities to a Prius end there: the Acura NSX just took home top honors from the biggest name in eco-friendly vehicles! It may sound silly to place the NSX, with its 573 horsepower and 193 mile-per-hour top speed, on a podium next to this year’s non-luxury winner, the 200 horsepower, all-electric Chevy Bolt, but the NSX is an outstanding green car in its own right. 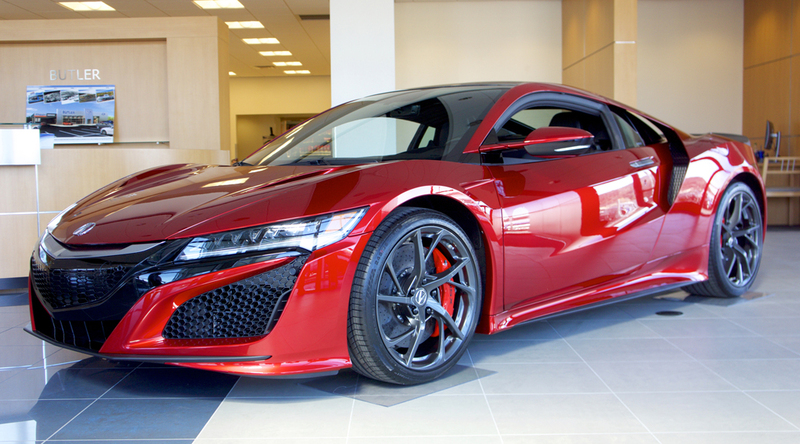 By virtue of its three electric motors, the NSX gets better gas mileage than many pickup trucks. That’s absolutely flabbergasting when you consider that most of the vehicles the NSX beat out for Road and Track Magazine’s Performance Car of the Year award are so inefficient that their owners have to pay a gas guzzler tax in addition to the vehicle’s already lofty sticker price. Sadly, the NSX doesn’t actually come in green, but maybe this honor will inspire the folks at Acura to release a lean, mean, green all-wheel drive machine.